Samuel Tweah, Minister of Finance of Liberia, today in Bali, Indonesia, reaffirmed the country’s commitment to working with the African Export-Import Bank (Afreximbank) in the government’s drive to boost the country’s economy. Speaking during a meeting with Afreximbank President Prof. Benedict Oramah, on the sidelines of the 2018 International Monetary Fund and World Bank Group Annual Meetings, Mr. Tweah said that Liberia appreciated the Banks presence in the country and was very encouraged by the support being provided by Afreximbank. “This partnership is very great for our country which is trying to expand its trade,” he said, adding that the government wanted to make that relationship viable for both sides. He welcomed the Bank’s Central Bank Deposit Programme (CENDEP) and promised help to bring it to the attention of heads of state. 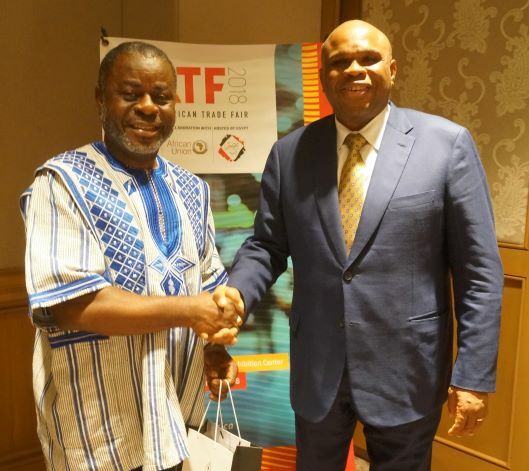 He added that Liberia was looking to take advantage of the Intra-African Trade Fair (IATF2018) which Afreximbank was organising in Cairo in December IATF, pledging that it would be represented. 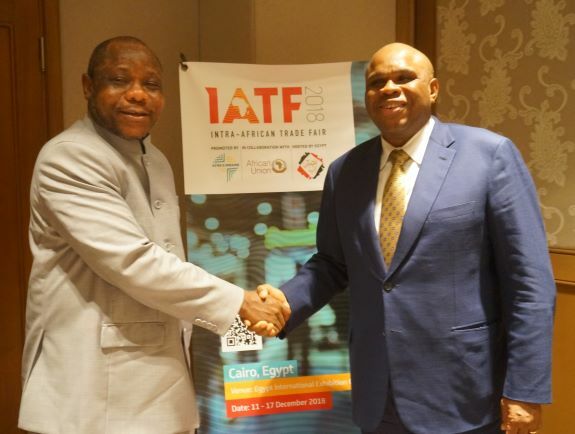 Afreximbank President Prof. Benedict Oramah (right) with Mbutu Vlah Nyenpan, Minister of Public Works of Liberia, after the meeting in Bali, Indonesia. Earlier, President Oramah had briefed the Minister on the CENDEP programme, saying that it currently had about 20 participants and had attracted more than $5 billion in deposits from African central banks, including Liberia’s. The Bank had also approved about $10 million in trade finance facilities for a number of Liberian banks and had disbursed a substantial part of the funds approved for a company doing road work in Liberia, he said. The President then invited Liberia to participate in IATF2018, saying that it was a platform to showcase investment opportunities in African countries. 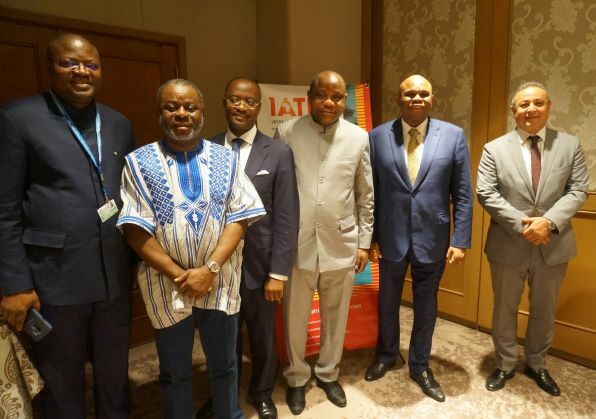 Afreximbank President Prof. Benedict Oramah (2nd right) in group photo with some of the meeting participants (L-R): Augustus Flomo, Minister of Economic Management; Mbutu Vlah Nyenpan, Minister of Public Works; Dr. George Elombi, Executive Vice President, Afreximbank; Samuel Tweah, Minister of Finance, Liberia; and Amr Kamel, Executive Vice President, Afreximbank. Accompanying the Minister to the meeting were Augustus Flomo, Minister of Economic Management; Barbara Conteh, Director of Macroeconomic Policy; Frederick Bobby Krah, Director of Debt Management; James Kollie, Commissioner, Liberia Maritime Authority; Mbutu Vlah Nyenpan, Minister of Public Works; and Marianne Caballero, Liberia Governance Advisor from the Tony Blair Institute for Global Change. The meeting was part of a series of meetings with political, economic and business leaders lined up for the Afreximbank delegation attending the 2018 International Monetary Fund and World Bank Group Annual Meetings which is taking place in Bali from 8 to 14 October.